An adjective seems necessary because the word “evangelical” is used by so many types. We’ve got conservative evangelical and progressive evangelical and European evangelical and moderate evangelical and charismatic evangelical. The need for an adjective doesn’t bode well for the word evangelical — it’s gotten too big for its britches. For two decades or more I was on the search for the purest and best kind of evangelical, a search that is unattainable (so I think now), but that search means I’m always open for yet one more try. It’s here: Bruce Benson, Malinda Berry, and Peter Heltzel now propose Prophetic Evangelicals: Envisioning a Just and Peaceable Kingdom (Eerdmans, 2012). 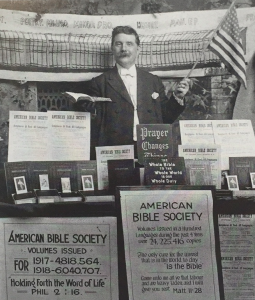 Different groups of evangelicals migrate toward specific terms as those that best express their theology: so when you see justice, peace, shalom, kingdom, prophetic, reconciliation, the poor, the public, Jubilee… you know what you’ve got is a progressive evangelical that is gathering itself under the term “prophetic.” This gathering, of course, suggests that other forms of evangelicalism are not prophetic, a term that beggars careful definition (and that means mapping the message of the prophets and not just their critique of the powers), but this connection — progressive and prophetic — is one of the main forms of evangelicalism, and had this book been six months later or so it could have interacted with our Book of the Year, David Swarz’s Moral Minority. Is this use of “prophetic” a new way of saying “progressive”? This book is the first in a series on Prophetic Evangelicalism, so the three co-authors open with two substantive essays mapping prophetic evangelicalism: one on the vision for a peaceable and just kingdom society and one on the improvising needed for a kingdom vision to be embodied in our world. 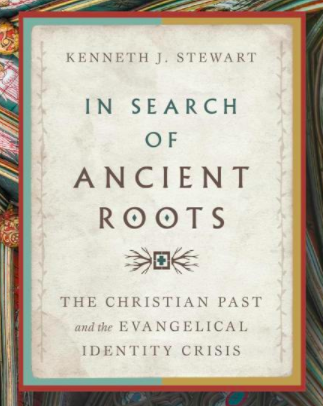 There are then a number of essays on themes that matter for prophetic evangelicalism: creation, shalom, justice, kingdom, news, Mary, cross, church, freedom, reconciliation, resurrection, hope, and then the co-authors finish it off with Living Shalom. 1. Prophetic Christianity is both proclaimed and embodied, it is both personal and public. 2. Prophetic Christianity focuses on the poor and marginalized. 3. Prophetic Christianity’s examples include Charles Finney, Jonathan Blanchard, Sojourner Truth, Harriet Tubman, Carl F.H. Henry, and (especially) Martin Luther King Jr.
4. Prophetic Christianity does not distinguish a message for Israel from a message for America; in other words, there is little concern here with a hermeneutic that sees Israel coming to fufillment in the church (both Jews and Gentiles) rather than in America. In other words, Prophetic Christianity is about a public, social ethic on the part of Christians. 5. Prophetic Christianity seems to see kingdom as the public sector acts of compassion on the part of Christians. The relationship of kingdom and church is not defined, though the authors are most critical of Hauerwas, whom they think has an ethic that does not care for the poor. The issue, as I read Hauerwas, is not an ethic for the poor but how best to care for the poor: Prophetic Christianity sees this as public action while Hauerwas’ framework pushes this into actions the church does. They appeal more approvingly of Yoder, but they do not seem to strike his balance of what he calls “middle axioms” as the way the ecclesia engages in public justice and peacemaking. 6. Prophetic Christianity will strive at racial reconciliation. 7. In spite of their emphasis of the importance of defining justice, I don’t think they get to the core idea of “moral behaviors and social conditions that conform to God’s will, as revealed in Torah and then in Jesus and the ethic of the Spirit.” For them justice is largely defined by its manifestations — peace, reconciliation, etc. They need to focus on the standard, because justice (tsedek, dikaiosyne, etc) is defined by conformity to a standard, and until that standard is spelled out there is no justice. 8. If I picked one thematic statement this is it: “Taking up one’s cross means to surrender oneself to the worldly struggle for justice, bearing the suffering of others, even at the cost of one’s own life” (28). If I picked a second it would be this one: “Liturgical celebrations at Sabbath worship initiate us into the strange space and time of the kingdom of God, but the real kingdom work begins when Christians are sent out through the holy benediction to live, embody, and experiment as new creation community” (36). In other words, real kingdom work is public justice. 9. Prophetic Christianity then is a Christianity that cares for the common good. 10. Prophetic Christianity, then, is another adjective for Progressive Christianity. Which Evangelicalism Have You Abandoned? If A takes from B to give to C, A is not compassionate, B is not charitable, and C is not necessarily better off. Progressive Christians stand the risk of being gored by their own ox. A stream of Charisma from the Latter Rain to Christian International have poisoned the word prophetic. Why is it that the progressive, or I guess prophetic, wing so often insist on issues of justice and caring for the poor being public action? I grow weary of explaining that just because I don’t think the government is doing a good job of helping the poor doesn’t mean I think the poor should be abandoned. It often feels that partisan political agendas are a higher priority than social transformation. I can only speak generally of the USA (not Europe). But the 20th Century saw an increasing focus on govt-sponsored charity and less and less subsidiarity and ecclesial caring for their own poor. Social justice has become public sector support of the most progressive side of politics. I tend to agree. We need to find ways to restore in believers that sense of the church not the state as Christ’s instrument of transformation. In my opinion, Progressivism tends to undermine mediating institutions such as church, family, and voluntary organizations. The government sponsored charity is anything but charitable, and unlike church (in its best form), turns the poor into a faceless mass whose poverty is defined almost exclusively in terms of finances. Some wings of the church all but celebrated the rise of Progressivism in the 20th century as reflecting the convictions of the church. However, the church has learned the hard way that that same Progressivism can give with one hand and take with the other. Don’t know who said it but I think it’s true in this case…When you dine with devil, remember who has the longer fork. I don’t go fully in Hauerwas’s direction but I think this statement nails it. Curious that you brought this up today. I’m working on a short post of my own that goes straight to this issue as it relates to the decline of Mainline Christianity. My biggest problem with the conflation of “prophetic” with “(politically/socially) progressive” is that the NT uses the term “prophetic” and it does not mean “progressive” in any way, shape or form. For all the talk of undermining charitable and faith-based efforts, I’d wager the data supports there are more NGOs relying on charity now than there were prior to government support programs for its citizens. People act like it’s an either-or but I’d be interested in seeing how the data shakes out. 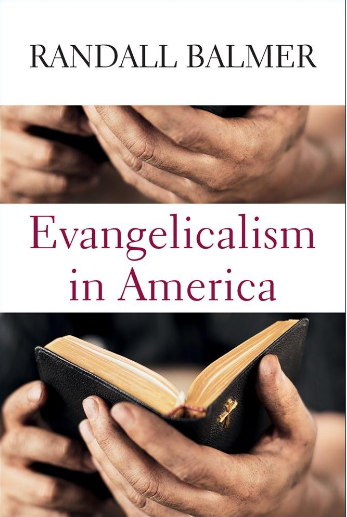 I think that the authors have described a significant movement within evangelicalism, and I often hear the terms associated with it (“justice, peace, shalom, kingdom, prophetic, reconciliation, the poor, the public, Jubilee”) grouped together. 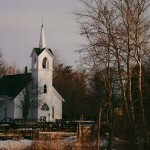 My question is whether this stream of evangelicalism still has a place for traditional markers of evangelicalism – a high view of Scripture, conversion, the exclusivity of Christ, missionary outreach through church planting, etc. Does “prophetic evangelicalism” embrace those features of evangelicalism as well? “Look back to a famous heretic of the second century-Montanus. He provides a classic example of that spiritual or pentecostal enthusiasm which breaks out at intervals like a spring along the road of ecclesiological history. Starting with the promises and apocalyptic visions of scripture, nourished on the word of Joel ii, and dreaming of the lost springtime of the church, many go the way of Montanus. Extravagant belief in the presence and activity of the Spirit, to whose action they have abandoned themselves in complete passivity, like a violin vibrating under a bow. And so emphasizing the continuance of prophesy in the life of the church. And with it ecstacies, glossalia, many manifestations. Believing in private revelation and a direct fellowship it seeks to quicken souls and regenerate Christianity. It’s reactionary to the church’s triple bulwark(creed, canon, episcopate) which arose to combat the first huge heresy of gnosticism( which, of course, still persists also). It is for spontaneity rather than regimentation. It resurfaces again and again as a revival and as a survival. As the church of Aviiricius Marcelius had to deal with Montanus, Basil had to deal with Glycerius the deacon, and Luther with the Zwickau prophets. Prophecy has historically meant being against externalizing of religion and appeals to primitive simplicity, spontaneity, and purity. It naturally evokes fanatic sympathy and fierce opposition.” J.S.Whale, 1955. ‘Prophetic’ certainly can entail a element of social critique. The term however, is hard to divorce from it’s charismatic meaning. Isn’t NT prophetic utterance a supernatural charism and not merely social critique? @ Scott Gay #2 – I sympathize with you but I always need to remind myself there are many more even-keeled charismatics (think Wimber, Grudem, Virgo, etc) who aren’t so kooky. I have to remind myself of this all the time because I endeavour to be a moderate charismatic. Why only go back that far? Surely the OT prophets were no more welcome within the religious establishment for Judaism? Even John the Baptist wasn’t exactly cozy with the Jewish religious leaders, or Jesus for that matter? Regardless, we don’t get to let heretics or charlatans ‘ruin’ gifts of the Spirit. People are going to be people; abuses around every kind of good activity are inevitable. But the scriptures, which were not written by folks who were naive about false prophets and teachers and swindlers making inroads in the Church in every time period, still tell us to “eagerly desire spiritual gifts, especially prophecy.” The Church needs both structure and spontaneity. It needs all the help the Spirit can give, and he can give a lot. Because you appear to be a serious, moderate charismatic…I have always had two questions. 1. Do you think that prophetic utterances should be added to the Canon, or are they not really revelation in that sense? (They might be from God, but not really revealed truth, etc.)? 2. Would you support intense punishment of false prophets. In the OT they were supposed to impale them, but we could do something different, like excommunication, etc.? It seems, overall, that if we are going to take modern day prophecy seriously then we have to REALLY treat it seriously…give it the respect it is due by adding it to the Canon, or creating some sort of sub-canon…and punish, as much as possible, those who are found out to be false prophets. Fair questions. On the first (which is related to the second), I think it’s helpful to remember that there were many prophetic messages that were never added to the canon. Recognizing that a particular action or even teaching is Spirit-led doesn’t mean it should be part of the canon. As an extreme example, we know that everything Jesus said or did was correct, helpful, Spirit-led, etc. But comparatively little is in the canon. The canon is a very specific subset of the Spirit’s work through people, for the Church for all time. It is a very small subset of prophetic/Spirit-led work with a unique and universal purpose. Most prophecy, as with most godly teaching, serving, etc., is local. On punishment, I generally evaluate and try to deal with “false prophets” much the same as “false teachers.” I’m sure you’ve heard some real doozies proclaimed from the pulpit as “God’s word” just as I have. But I’m slow to label/judge someone as a “false teacher.” Further, for the concern you raise, I don’t think it matters much if the offending speaker (or offended church) believes in prophecy or not or calls something prophecy, the issue is how we handle people who wrongly put words in God’s mouth, or do evil in his name. I do think that’s a serious thing. At the same time, I’ve seen lots of people make mistakes, even from the pulpit, even in God’s name, and I wouldn’t necessarily get my “false teacher/prophet” stickers ready. It really depends. For example, I’ve seen people teach stuff with great confidence and authority, saying, for instance, “If you have a problem with what I’m saying, your beef is with God, because that’s what his word says; it’s not my word; it’s his.” On the other hand, I’ve seen people humbly offer something prophetically by saying, “I think God is saying ________________, but I’m not sure. Evaluate this one yourself with others.” Now, I see the first man as taking more of a risk, even though he may not even believe in prophetic gifts, let alone claim to use them, and I think he’s created more of a potential for abuse of people and God’s name. Do you see what I’m getting at? I think the way that Paul and Barnabas were counted “among the prophets and teachers” at Antioch, and how Paul encourages both the practice and the discernment of prophecy, and even the way that false teachers are of concern to Paul and James and others touches on the perspective I’m talking about here. I think it’s hard for you to relate teaching and prophecy as similar because you have this high, high pedestal for prophecy as equal with scripture, similar to how you thought of apostleship, though few apostles wrote any scripture, and some authors weren’t apostles. Further, you’ve seen your contemporaries teach, probably done it yourself, so its easier to think of teaching as more appropriate for us mere mortals. 😀 But, again, the warnings for the kind of concern you raise are given for teachers and prophets, and sometimes teachers alone! I’m thinking of James 3:1. So, we have Paul urging the whole of the (kinda messed up) Corinthian church to desire prophecy with little warning at all, but James telling folks that not many should presume to be teachers, because they will be judged more strictly. My point is that prophecy and teaching both carry the same danger because both claim to give God’s message. Further, if prophecy was the kind of tight-rope-walk you think of it as, why would Paul urge the whole Corinthian church to desire it? Why wouldn’t we get a James-like warning for would-be prophets? My feeling is that we should evaluate and deal with both (teaching or speaking in God’s name) in very, very similar ways. This is a limited venue; I hope that begins to help. Thank you for the compliment. You also have been a cessationist that I respect. In fact, cessationism isn’t what comes to mind when I see your name. What comes to mind is a thoughtful brother that I respect. Thank you for the thoughts T…and the compliment. as an aside, i’ve never heard anyone use the term ‘charismatic evangelical’. do christians really call themselves that? i think charismatics probably just call themselves charismatic, or on occasion post-charismatic. something i’ve experienced lately is non-christians and liberal christians referring to people i suspect are evangelicals as fundamentalists. i think when these non- or liberal christians encounter christians they see as being too conservative or rigid, from their vantage point, they lump them into the fundamentalist camp. if ‘evangelical’ gets conflated with ‘fundamentalist’ then there doesn’t seem much use for the term at all. I don’t have to be a cessasionist to realize the strength or weakness of pushing for the gifts being what is so sorely needed. What is sorely needed is the fruits. Probably 1000’s of times more to 1 in this world. As the parable of the talents implies, they can be developed. But we continue to think we have neglected the gifts, that the churches problem has been its cessationism. We have neglected the cultivation of the virtues, and it sorely shows in our relationship with others. I believe it has something to do with salvation being a gift, but developing the fruits as some kind of work. I agree. ( This answer is too short for patheos to post, so I added). On the one hand I agree with Michael Kruse’s hearing of Hauerwas and Willimon on this. On the other, I remember Carter Lindberg (my church history prof) ‘s take on Luther (Beyond Charity, 1993) — which argues Luther’s reformed program for the poor was to give it to government, so as to take this out of the realm of ‘salvation by works’ as Luther thought Catholic theology was positioning care of the poor. Having worked w many NGOs on poverty and ‘justice’ (i will concede quickly the lack of any consensus definition) over several decades before becoming a pastor only in the past eleven years, I see all kinds of shaded territory here. Good point above (T) re Paul urging the Corinthians to prophesy — (in our study group on Corinthians a year ago a diverse group of us ended up hearing this as meaning simply speak the word of God as revealed by the Spirit — a small p kind of prophecy — not that our thus hearing it seals it as such… ) James’ caution re not too many teachers was also in a local churches (presumably Jewish diaspora) context where Teachers might be heard rather differently than amongst predominantly Gentile churches.